Bay Area home sales rebounded in March, with a 60 percent increase in volume from February, higher than the historical 45 percent increase between the two months. On a year-over-year basis, home sales were up 3 percent in March, with the largest increases in Napa County, Silicon Valley, and San Francisco. March sales jumped in all price ranges, except the sub-$1-million range due to inventory shortages. For-sale inventory improved from the winter months but continues to decline over the long term. Home prices continued to surge, with the region’s median price jumping 10 percent year over year in March. San Mateo County had the region’s highest annual rate of appreciation, at 17 percent. The spring homebuying season has finally kicked in after an abnormally wet winter season and rainfall reaching unprecedented levels. In March, there were about 5,000 home sales registered in Bay Area MLSes, which was a 60 percent increase from January and February. While the March comeback is seasonally expected, this year’s monthly increase was much larger than the historical 45 percent increase seen in the Bay Area. The biggest increase in housing market activity from February was in Napa, San Mateo, and San Francisco counties, with 87 percent, 71 percent, and 82 percent sales-volume gains, respectively. Figure 1 illustrates March increases in sales from the previous month by price range. Note that when looking at percent changes, some increases are from a low base and thus reflect large percent increases. For example, a 164 percent increase in Marin for homes priced at $2 million-plus reflects a sales increase from 14 properties to 37 properties. Napa County, Silicon Valley, and San Francisco also recorded largest year-over-year gains in sales volume from last March, with 5 percent to 10 percent more activity this year. The increase in the three regions is a welcome change for housing-market analysts who were concerned with the slowdown at the end of last year. Overall, the Bay Area market saw 3 percent more home sales than last March. Sonoma was the only region with fewer sales, while Marin, Contra Costa, and Alameda counties fared relatively similar to last year. Home sales were recorded across the board at all price ranges. For the entire Bay Area, sales were higher among all price ranges but the lowest one, sub-$1-million, where inventory has been depleted, and this segment of the market will remain a challenge for the region. While the strongest March home sales gain was for homes priced between $1 million and $2 million, up 24 percent, even higher price ranges continued to see solid increases of around 20 percent. Again, consistent growth in sales across all price ranges bodes well for the region and reflects the housing market’s resiliency as well as promising 2017 homebuying season. Source: Terradatum, Inc. from data provided by local MLSes, April 7, 2017. The lack of for-sale inventory is a subject that is starting to sound like a broken record. In March, the inventory of Bay Area homes for sale was down about 8 percent from one year earlier. While all Bay Area counties saw lower inventory levels, the largest decreases from last March was in San Francisco, down by 18 percent; Santa Clara County, down by 17 percent; and Sonoma County, down by 13 percent. Alameda and Contra Costa county inventory levels were relatively consistent with last March. Figure 2 illustrates the changes in inventories from last March and February. Note that since the analysis uses MLS data, it does not capture most of the newly constructed inventory in San Francisco. Nevertheless, as March is seasonally the kickoff month for the spring homebuying season, sellers are more likely to start listing their homes at a higher rate than during the winter months. Thus, March for-sale inventory showed signs of rebuilding, and the region overall has 23 percent more homes for sale than in February. Marin County and Silicon Valley both showed strong gains in March — about 40 percent and 31 percent, respectively. March’s pickup in demand also reflected renewed competition among buyers. The majority of homes that sold in March, 64 percent, sold above their asking prices and sometimes at rates not seen since last year. Figure 3 illustrates the share of listings that sold over the asking price in March this year and in September of last year. In all regions except San Francisco, buyers again faced greater competition. In Santa Clara County, competition intensified the most when compared with last September, with a 15 percentage points increase in the share of homes that sold over the asking price. 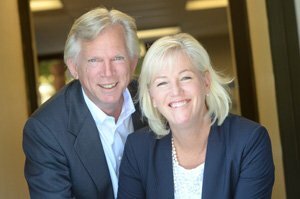 Alameda and San Mateo counties followed suit in increased competition. March premiums in San Francisco remained consistent with September 2016, with nearly seven in 10 homes selling for more than the asking price. In addition, the premium paid over the asking price was the highest in San Francisco, at 13 percent. Buyer competition combined with tight inventory conditions pushed home prices higher in March. For the Bay Area, the median price increased 10 percent from last year, ending the month at about $815,000. The increase in median prices exceeded 10 percent in all counties except Contra Costa, Marin, and San Francisco, where increases averaged 6 percent. In San Mateo County, the median price increased at the highest rate in the Bay Area — 17 percent above last March. And though March’s sales rebound helped push prices higher, the median year-to-date price increases diverged the most between San Francisco and San Mateo County, at 3 percent in San Francisco and 11 percent in San Mateo. The divergence in price growth between the two areas is puzzling given that those counties are also the Bay Area’s two most expensive. Thus, while discussing San Francisco’s affordability crisis is almost instinctual when discussing the Bay Area housing market, it appears that demand for higher-priced homes remains intact. 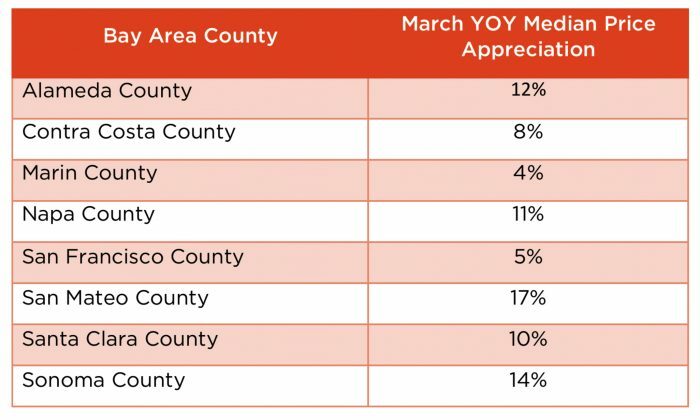 Figure 4 summarizes March price appreciation by county in the Bay Area. Overall, March numbers suggest that the Bay Areas is in for a strong homebuying season this spring, with renewed enthusiasm among buyers and competition brewing. Still, it cannot be emphasized enough that low inventory levels are a problem in the region and will keep a lid on any notable increase in sales activity.